Tired of digging around for the file you want to attach when you were just working on it earlier? Tired of later trying to sift through emails to find links shared with you? 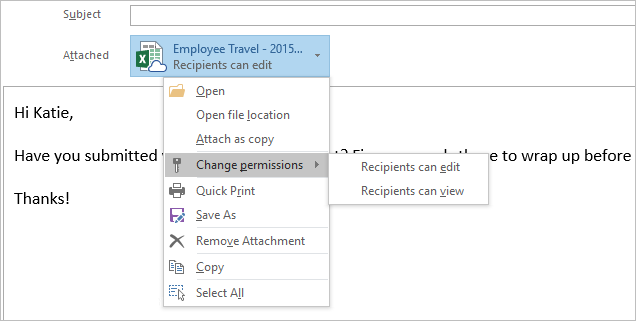 With the Windows release of Outlook 2016, attachments just got a whole lot better. You can now skip the hassles associated with finding and sharing files, regardless of whether you were working on them on your computer, phone or tablet. The next time you go to attach a file to your email, the first thing you’ll notice is a list of recently accessed documents under the Recent Items. The Recent Items list is comprised of documents on your local hard drive as well as OneDrive, OneDrive for Business and SharePoint—making it simple to pick files you have accessed across any of your devices. If you can’t find what you were looking for in the Recent Items list, we make it easy to navigate to your OneDrive, OneDrive for Business and SharePoint locations by selecting Browse Web Locations. To find other files saved on your PC, choose the Browse this PC option to open File Explorer. 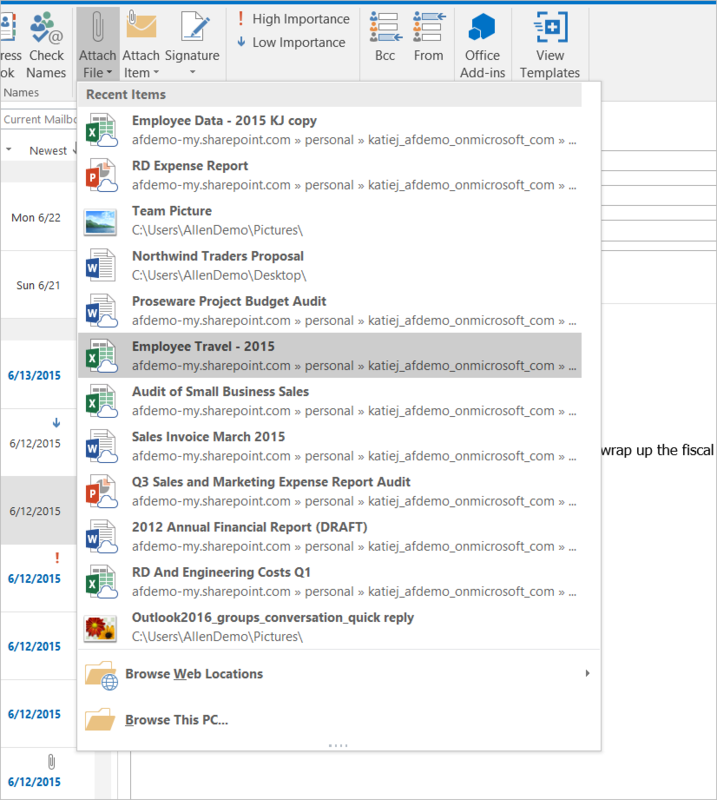 If you select a OneDrive, OneDrive for Business or SharePoint file to share, Outlook’s new attachment feature shows you what permissions you’re granting to your recipients at a glance. Of course, you also have the ability to change these permissions or even attach a copy instead—all without having to go to where it’s stored. When you send your email, Outlook does the work of granting everyone the right set of permissions behind the scenes. Additionally, because the OneDrive, OneDrive for Business or SharePoint links now appear side-by-side with your other attachments, you’ll notice a paperclip associated with them and have the ability to search for them just as you do with attachments today. This new attachment experience is available today for users of Outlook 2016 on Windows devices, while continuous improvements and new features will be delivered to Office 365 subscribers. The best way to get the latest features with Office is to subscribe to Office 365. If you aren’t already taking advantage of the new experience, give it a try with your next attachment! 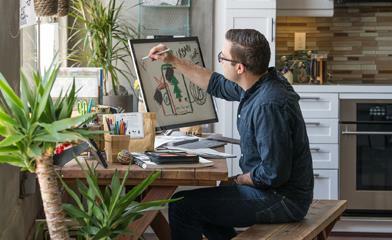 It’s the Office you know, plus tools to help you work better together, so you can get more done—anytime, anywhere.